Forch’s Record Store on Main Street in Galt is quickly becoming the talk of the town among music lovers in Cambridge and surrounding area. Owner Paul Forch has an excellent taste in music which has translated into an impressive inventory of new and used vinyl, Cd’s, cassettes, merchandise and a select collection of vintage stereo equipment. The store has ample room for displays, browsing and CONCERTS !!! Forch’s kicks of a new series of in-store concert events on Sunday, June 5th @ 2:30pm with the legendary ALAN GERBER !! 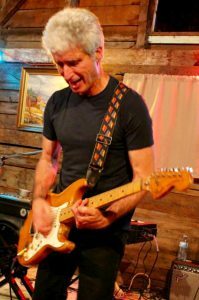 Patrons of the Groove Kitchen & Music Room will remember Alan as one of the most exciting and eclectic solo performers to have graced the stage. Here is a video featuring Alan at the Groove and some clips of his headline performance at the Kitchener Blues Festival as a member of the recently reunited super group Rhinoceros. Alan will also be appearing at The Orangeville Blues Festival on Friday, June 3 @ The McKitrick House Inn Saturday, June 4 @ The Opera House & The McKitrick House Inn. It will be a rockin’ weekend for sure! Follow this link to Forch’s website for complete details about Alan and the how to purchase tickets. Copyright © 2019 Alan Gerber. All Rights Reserved.